The alcoholic beverages that have become synonymous with Ireland are Irish whiskey, dry stout, ale, wine geese, and Irish cream. Among the non-alcoholic beverages that are Irish favorites, tea is perhaps the most popular; in fact, the Irish consume more tea per capita than any other nation. Irish Whiskey has a perfumed aroma. It is a slightly oily, full bodied, and smooth whiskey that is golden in color and can display a light fruitiness. Irish whiskey is distilled 3 times and, under Irish law, matures for at least 3 years in oak casks before bottling. It is often used in the popular warming drink, Irish coffee. A rich extra dark malted beer, low to medium bodied, medium to high bitterness, intense with varying sweetness and dryness. Dark roasted barley produces a slight roasted coffee trait. A dark malted beer, lighter and paler than Stout, buttery, soft but noticeable fruitiness, minimal hop bitterness. In 2000, the European Commission officially listed Ireland as a wine producing country. Until that time, wineries in Ireland were small and private with few vines. Ireland’s climate has proven to be unsuitable for growing consistent, high quality grapes. Through persistence and the study of horticulture, Irish growers met the challenge and have now begun small successful wineries in areas around Cork (southwest corner of island). Ireland as a wine producing country is a new concept, however, Ireland has always been a great consumer of Wine Geese. Wine Geese is not produced in Ireland but the historical significance has created a loyal following. After the defeat of James II in the Williamite War of 1691, his loyal followers chose to leave Ireland. Many of those followers settled in France’s Bordeaux region and were labeled Wild Geese. Many Wild Geese were high ranking officers in the Irish Brigade of the French Army. With money to invest, they bought into the wine trade. These vineyards became known as and labeled as Wine Geese. A creamy smooth blending of ingredients such as cream, Irish whiskey, chocolate, coffee, and other natural flavors. 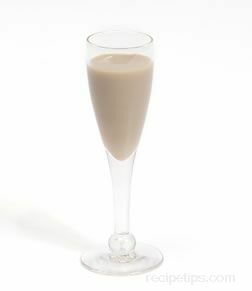 Serve Irish cream at room temperature or over ice. Ireland has the highest consumption of tea per capita than any other country in the world. Black, Green, and Oolong tea are the most basic. The Irish drink large quantities of tea with many of their favorite foods. See "Irish Recipes" for many of these favorites.